When you’ve planned for photo outside, a tumultuous downpour can seem like a bit of a downer on your wedding day. But rain just creates new opportunities, like sitting on the windowsill on the edge of a bathtub, and having a corner of the world all to yourselves. 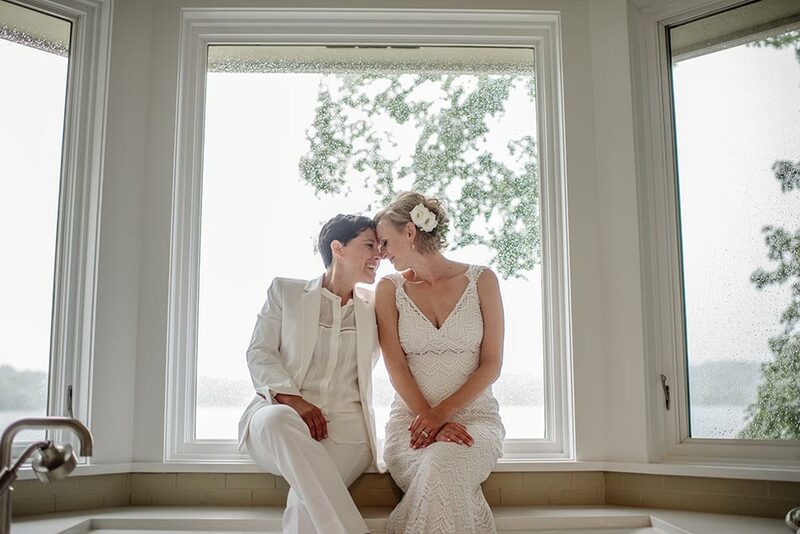 Nancy and Tiffany, their gorgeous style, their amazing friends, and their total love for each other, made for one tremendous wedding day.